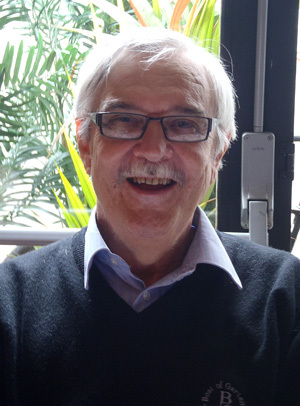 We regret to report the sad news that Antony (Tony) Fielding, Visiting Professor at the Centre for Multilevel Modelling at the University of Bristol, died on 29 October, aged 68. After lectureships in the statistics departments of the University of Edinburgh and London School of Economics, Tony joined the University of Birmingham and remained there until his retirement, as Professor of Social and Educational Statistics, in 2008. Tony has been a long-time associate of the Centre for Multilevel Modelling, from its early days at the Institute of Education in London, and he joined the group as a visiting research fellow in 1999. He was among the first to recognise the potential of multilevel modelling in social and educational research, and was instrumental in its subsequent adoption as a mainstream statistical method. He made important contributions to the development of methods for ordinal data and their application in school effectiveness research. Tony was a leading light in social statistics and worked energetically to raise the profile of the discipline, in particular through his various roles in the Royal Statistical Society. These included being Joint Editor of its flagship journal Series A (“Statistics in Society”), Chair of the Social Statistics Section, a member of the General Applications Section, and most recently an elected member of the RSS Council. His editorship of Series A was indicative of his commitment to social statistics and his whole-hearted approach: Tony paid close attention to every paper he saw, especially improving the presentation of complex statistical analyses to make them more accessible to a general readership, and it was not unknown for authors to receive a list of editor’s comments that was nearly as long as their original submission! Tony was unfailingly generous with advice and suggestions to help others improve their work. Beyond all of this, Tony was an extremely popular member of the social statistics community, and he will be remembered with particular fondness and gratitude by those of us who knew him from the start of their careers. He encouraged and supported young statisticians in many ways, from career advice, reading drafts of papers and research proposals, to providing opportunities to present at conferences, gain experience in consultancy, and review and edit for journals. We all benefited enormously, not only from his extensive knowledge and experience of statistics, but from the confidence he showed in us. Tony was the same with everyone regardless of their seniority, and treated new researchers at the Centre as old friends. We have many happy memories of Centre Away Days and trips to Amsterdam for the International Multilevel Modelling Conference. Tony will be greatly missed by those of us who had the privilege to know and work with him. We offer our condolences to Tony’s wife, Alison, and his three daughters and their families, about whom he would always talk with pride and joy.